The BackBox Linux official Store is finally here! To celebrate BackBox Linux increasing popularity we would like to please our fans with the opening of an official BackBox Store featuring design t-shirts and accessories. If you want to help us spread our logo and have new ideas send us your design and the best ones will become a part of the store. Check out the new BackBox Linux official Store. Support our Community! https://www.backbox.org/wp-content/uploads/2018/09/website_backbox_text_black.png 0 0 admin https://www.backbox.org/wp-content/uploads/2018/09/website_backbox_text_black.png admin2013-10-23 22:04:312018-10-02 21:23:36The BackBox Linux official Store is finally here! The BackBox Team is pleased to announce the updated release of BackBox Linux, the version 3.09. This release include features such as Linux Kernel 3.8, EFI mode, Anonymous mode and armhf Debian packages. https://www.backbox.org/wp-content/uploads/2018/09/website_backbox_text_black.png 0 0 admin https://www.backbox.org/wp-content/uploads/2018/09/website_backbox_text_black.png admin2013-09-19 22:52:152018-10-06 16:49:26BackBox Linux 3.09 released! Climber is an automated auditing tool to check UNIX/Linux systems misconfigurations which may allow local privilege escalation. Climber connects to a remote host using SSH or Telnet connections and automatically performs shell commands that are grouped in plugin directory. 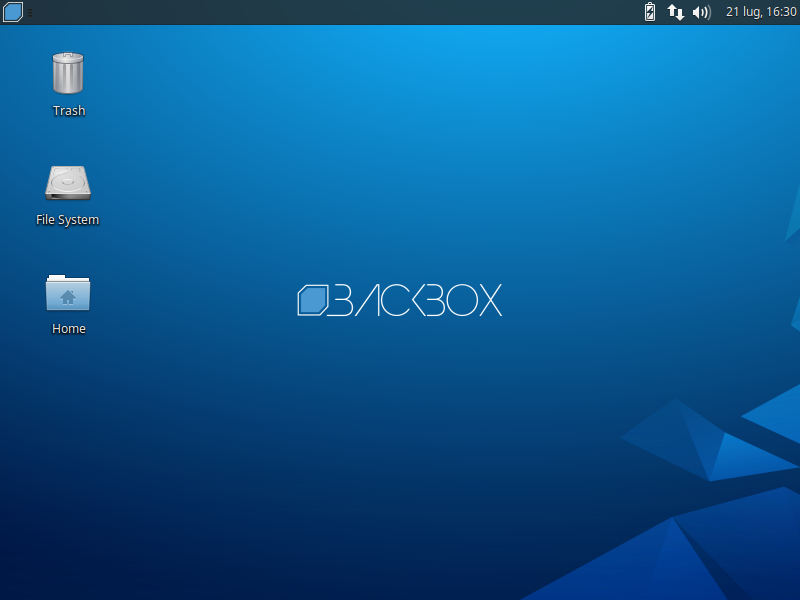 The BackBox Team is pleased to announce the updated release of BackBox Linux, the version 3.05. This release include features such as Linux Kernel 3.2, compat-wireless 3.8 (with Aircrack-NG patch) and Xfce 4.8.
https://www.backbox.org/wp-content/uploads/2018/09/website_backbox_text_black.png 0 0 admin https://www.backbox.org/wp-content/uploads/2018/09/website_backbox_text_black.png admin2013-05-22 12:34:022018-10-06 16:49:18BackBox Linux 3.05 released! Cryptocat is free software that aims to provide an open, accessible Instant Messaging environment that encrypts your conversations and works right in your browser. pyCryptocat is a Cryptocat standalone chat client written in Python, using python-webkit package to serve Cryptocat JS and HTML files. Cryptocat provides multi-user (and private) instant messaging inside chatrooms. It uses the OTR protocol for encrypted two-party chat and the (upcoming) mpOTR protocol for encrypted multi-party chat. The goal is to provide the easiest, most accessible way to chat while maintaining your privacy online.